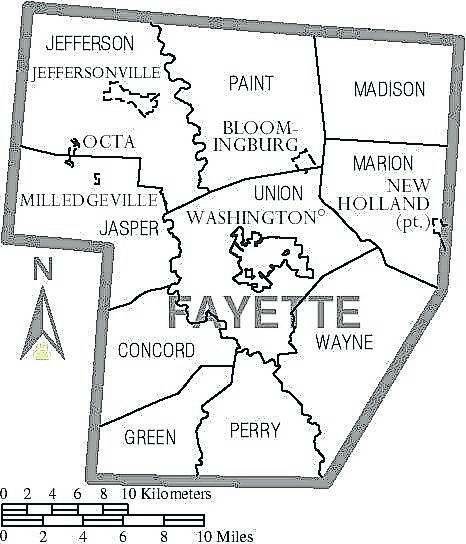 The Fayette County Commissioners are rallying support from the community for a new jail levy that will be present on the May 7 election ballot. There are two parts to the levy. The first part is to construct a new and updated adult detention facility. The second part is to provide financial support for the operational expenses of the adult detention facility. Effects of overcrowding in the prison system are vast. It could include early release of inmates, poor rehabilitation opportunities, sending inmates to other counties, unsafe conditions and greater numbers of re-offenders, among many other effects. With the proposed jail, there will be room for inmates to receive treatment who wish to better themselves. There will be the opportunity to learn life skills that can better their outlook and involvement within the community. “It will generate $1.646 million,” Dean said. That $1.646 million will be generated on an annual basis with .85 millage going toward operational costs and .105 millage going toward loan repayment. In other words, the levy will cover approximately $700,000 of operational costs annually, which includes the employees and contracted services. It will also cover repayment of the loan at approximately $900,000 annually. The tax would be paid by property owners based off their properties’ appraised value on the auditor’s website. Dean said, “For $100,000 dollars of appraised value by the auditor’s website, whether it be your home or your business, you would pay $66.50 per year (approximately $5.54 per month).” A $200,000 appraised property would be 66.50 doubled: $133 per year (approximately $11.08 per month). If the state chooses to close the jail, all of the inmates will need to be relocated to other jails. Fayette County has to pay for inmates who are relocated regardless of the reason: whether it be due to over-crowding or having the Fayette County Jail shut down. According to Dean, it costs approximately $65 per day to house one inmate at a facility outside Fayette County. One inmate with a cost of $65 per day would cost the county $23,725 in one year. If the jail were to be shut down, at an average of 60 inmates and $65 per day per inmate, it would cost the county $3,900 per day. In one year it would cost $1,423,500. Those numbers don’t include the fuel cost, transport vehicle cost or labor cost for the deputies having to transport the inmates. These transports would also take deputies away from Fayette County, sometimes several hours away to another county’s facility, according to the commissioners. This cost could fluctuate from several factors, including the number of inmates in the system. The commissioners said they have tried to keep costs down as much as possible and continue to negotiate cheaper costs. If the levy doesn’t pass this year, the county will lose the low interest rate they have achieved for the proposed plan.